When you think takeaway, you generally think of naughty food but that’s just not the case anymore. Having a meal that is prepared by someone else is a treat for the kids and I, mainly because I like to know what’s going into the food and that it’s going to good for us but when I was offered the chance to see how healthy the options on Deliveroo can really be, I was up for the challenge. Now before you cringe and say to yourself “Lauren, 5 dinners from takeaway – really?” it was actually quite interesting. It just proves if you know what to look for, you can make some great choices when it comes to a night on Deliveroo. The first thing that pops up in my area is KFC, which I only allow myself maybe once a year when I am hungover AF, but on night one which is a Tuesday night, that’s just not the case. Scrolling through the app to have a gander at my options revealed there were more options that I realised in my area and I really needed to plan ahead so I didn’t take an hour to decide what to get. Now I will admit, those dinners were lacking in the amount of veggies that the kids and I normally consume, so considering the kids only ate for 3 nights out of that while they were at home, the other two were consumed by me. 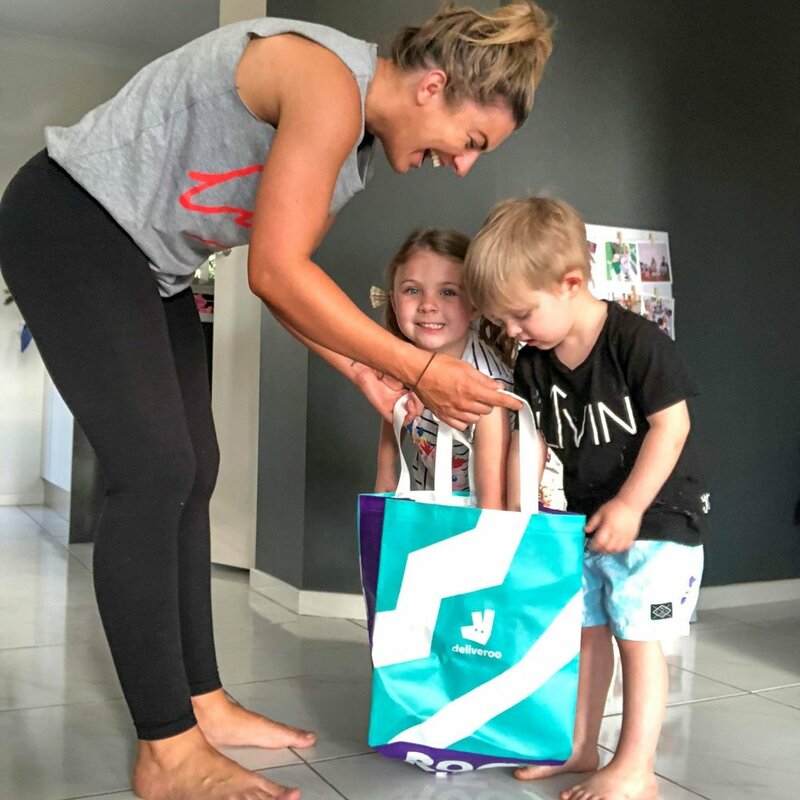 That week with our veggie intake, the kids absolutely loved it because this is something mummy doesn’t ever do, but I always make sure they have lots of fruit and veggies during the day too (luckily Max LOVES IT!). When it comes to ordering takeaway, or even from a restaurant, removing the sauces, avoiding the grease and the deep fried, when it comes to having a night off from cooking, a healthy alternative that saves your sanity is possible. It really depends and comes down to what is available in your area, and then making the most of what options there are. I wouldn’t suggest eating like this 5 nights in a row, as this was purely an experiment and this was certainly a nice break from grocery shopping, cooking and cleaning up, which is the whole point of having a night off I guess! Know what to look for, give yourself a night off and you’d be surprised what your Deliveroo has to offer in your area.